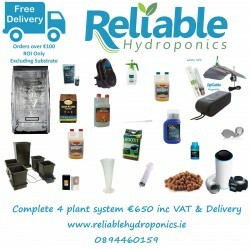 This kit comes with everything you will need to grow 4 plants. We have taken an 'Idiot Proof' approa.. This kit comes with everything you will need to grow 8 plants. Although there are cheaper options.. This kit is similar to the setup we use. It’s a good way to guarantee the environment is correct for..